U know armaan, I was looking at these shots and suddenly, out of no where!! I started humming" maen nahin doun, kissi ko na doun, na doun, mera sajna" !!! Is this the song, this shot from? It certainly is. 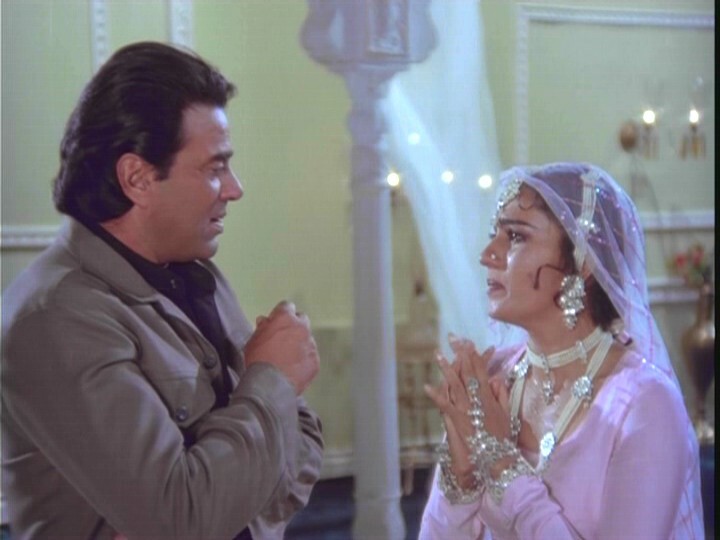 I was trying to get Dharmendra in too as Reena Roy and Anita Raaj strip him to his underwear fighting over him in this comical song, but the shot didn't come out very well. I have to admit, I have presented the best shots - collector's item type, highly charged, mainly from songs with good backgrounds. You may find the print of some other scenes in these films disappointing!